Colourful and joyful, our decal collection for kids is perfect to light up your kids playroom or bedroom. Stickers for girls, boys or both, many choices, all theme based, awaits you to satisfy your kids imagination and fantasy. Easy application, simply peel and stick. The best décor accent to change your whole room! Remember those who marked history with our adhesive quotes. A couple of strong words that bring you into a reflection. The large quotes won't only decorate, it will add a Zen accent to your home. Simple and elegant, they fit with every ambiance. High resolution pictures to spice up the look of your fridge! It suits any 30" wide fridge. Perfect to liven up the kitchen. This single strip of adhesive vinyl will not damage the surface it is applied on. You can still use your favourite magnet on it! This collection of shaped chalkboard will bring live to your fun memos! They are easy to install and are of course erasable. High High resolution pictures to spice up the look of your fridge! It suits any 30" wide fridge. Perfect to liven up the kitchen. This single strip of adhesive vinyl will not damage the surface it is applied on. You can still use your favourite magnet on it! 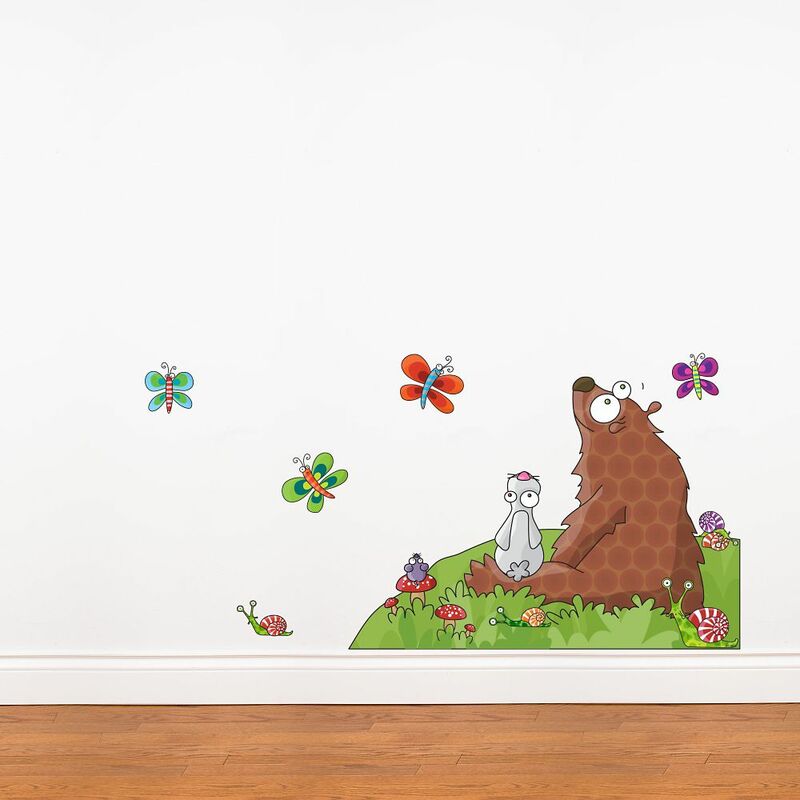 Animals listen to a story Colourful and joyful, our decal collection for kids is perfect to light up your kids playroom or bedroom. Stickers for girls, boys or both, many choices, all theme based, awaits you to satisfy your kids imagination and fantasy.